Mike Ek was named the Director of Joint Numerical Testbed in February of 2018. Before coming to NCAR, Mike was the Deputy Director of the Environmental Modeling Center (EMC) in the National Centers for Environmental Prediction (NCEP), and lead the EMC land-hydrology modeling team. EMC develops and improves numerical weather and earth system models through a broad program in partnership with the research community, which includes NCAR. Prior to joining NCEP in 1999, he was in the College of Oceanic and Atmospheric Sciences at Oregon State University where his research focused on land and atmospheric boundary-layer model development. He has led and participated in various national and international activities in earth system study and numerical model development, e.g. he is currently co-chair for the Global Land/Atmosphere System Study which is part of the Global Energy and Water Exchanges (GEWEX) project, where GEWEX is a core program under the World Meteorological Organization's World Climate Research Programme. Mike has also been involved in a number of community research and educational outreach activities, from student competitions at conferences, chairing the American Meteorological Society committee on Hydrology, serving on Ph.D. committees and lecturing at summer schools on weather and climate, to major research initiatives, program panel reviews and national and international conferences. He received his Ph.D. from Wageningen University in The Netherlands in 2005, with his dissertation topic on land-atmosphere interaction and the role of land-atmosphere coupling in the evolution of surface fluxes and boundary-layer development. Dirmeyer, P. A., L. Chen, J. Wu, C.-S. Shin, B. Huang, B. A. Cash, M. G. Bosilovich, S. Mahanama, R. D. Koster, J. A. Santanello, M B. Ek, G. Balsamo, E. Dutra, and D. M. Lawrence, 2018: Verification of Land–Atmosphere Coupling in Forecast Models, Reanalyses, and Land Surface Models Using Flux Site Observations. J. Hydrometeorol., doi:10.1175/JHM-D-17-0152.1. Ek, M. B., 2018: Land Surface Hydrological Models. Chapter in Handbook of Hydrometeorological Ensemble Forecasting, Springer-Verlag GmbH Germany (part of Springer Nature), 44 pp. (in press). Frassoni, A., and E. Ramirez, D. Castilho, J. G. Z. de Mattos, M. Rixen, A. J. P. Calheiros, D. Cassain, H. F. de Campos Velho, S. R. de Roode, F. Doblas-Reyes, M. Ek, R. Forbes, P. Kubota, P. H. Lauritzen, L. A. T. Machado, G. Martins, K. A. Reed, N. E. Rosário, N. Wedi, 2018: Building the next generation of climate modelers: scale-aware physics parameterization and the ‘Grey Zone’ challenge. Summary report on the 2nd WCRP Summer School on Climate Model Development. Bull. Amer. Meteorol. Soc. (submitted). Lee, J.-w, Y. Xue, F. De Sales, I. Diallo, L. Marx, M. Ek, K. R. Sperber, and P. J. Gleckler, 2018: Evaluation of multi-decadal UCLA-CFSv2 simulation and impact of interactive 1 atmospheric-ocean feedback on global and regional variability. Climate Dynamics (in revision). Santanello, J. A. Jr., P. A. Dirmeyer, C. R. Ferguson, K. L. Findell, A. B. Tawfik, A. Berg, M. Ek, P. Gentine, B. P. Guillod, C. van Heerwaarden, J. Roundy, Civil, V. Wulfmeyer, 2018: Land–Atmosphere Interactions: The LoCo Perspective. Bull. Amer. Meteorol. Soc., doi:10.1175/BAMS-D-17-0001.1. Xia, Y., D. M. Mocko, S. Wang, M. Pan, S. V. Kumar, C. D. Peters-Lidard, H. Wei, D. Wang, and M. B. Ek, 2018: Comprehensive Evaluation of the Variable Infiltration Capacity (VIC) Model in the North American Land Data Assimilation System. J. Hydrometeorol. (submitted). Zheng, W., X. Zhan, J. Liu, and M. Ek, 2018: A Preliminary Assessment of the Impact of Assimilating Satellite Soil Moisture Data Products on NCEP Global Forecast System. Advances in Meteorol. (in press). Zadra, A., K. Williams, A. Frassoni, M. Rixen, Á. F. Adames, J. Berner, F. Bouyssel, B. Casati, H. Christensen, M. B. Ek, G. Flato, Y. Huang, F. Judt, H. Lin, E. Maloney, W. Merryfield, A. van Niekerk, T. Rackow, K. Saito, N. Wedi (14), P. Yadav, 2018: Systematic Errors in Weather and Climate Models: Nature, Origins, and Way Forward. Bull. Amer. Meteorol. Soc., doi: 10.1175/BAMS-D-17-0287.1. Haughton, N., G. Abramowitz, A. J. Pitman, D. Or, M. J. Best, H. R. Johnson, G. Balsamo, A. Boone, M. Cuntz, B. Decharme, P. A. Dirmeyer, J. Dong, M. Ek, Z. Guo, V. Haverd, B. J. J. van den Hurk, G. S. Nearing, B. Pak, J. A. Santanello Jr., L. E. Stevens, and N. Vuichard, 2017: The Plumbing of Land Surface Models: Is Poor Performance a Result of Methodology or Data Quality? J. Hydrometeorol., doi:10.1175/JHM-D-15-0171.1. Xia, Y., D. Mocko, M. Huang, B. Li, M. Rodell, K.E. Mitchell, X. Cai, and M. B. Ek, 2017: Comparison and Assessment of Three Advanced Land Surface Models in Simulating Terrestrial Water Storage Components over the United States. J. Hydrometeorol., 18, 625-649, doi:10.1175/JHM-D-16-0112.1. Kumar, S., B. Zaitchik, C. Peters-Lidard, M. Rodell, R. H. Reichle, B. Li, M. Jasinski, D. Mocko, A. Getirana, G. De Lannoy, M. Cosh, C. Hain, M. Anderson, K. Arsenault, Y. Xia, and M. Ek, 2016: Assimilation of gridded GRACE terrestrial water storage estimates in the North American Land Data Assimilation System. J. Hydrometeor., doi:10.1175/JHM-D-15-0157.1. Xia, Y., B.A. Cosgrove, K. E. Mitchell, C.D. Peters-Lidard, M. B. Ek, M. Brewer, D. Mocko, S.V. Kumar, H. Wei, J. Meng, and L. Luo, 2016: Basin-scale assessment of the land surface water budget in the National Centers for Environmental Prediction operational and research NLDAS-2 systems. J. Geophys. Res. Atmos., 121, doi:10.1002/2015JD023733. Xia, Y., B. A. Cosgrove, K. E. Mitchell, C. D. Peters-Lidard, M. B. Ek, S. Kumar, D. Mocko, and H. Wei, 2016: Basin-scale assessment of the land surface energy budget in the National Centers for Environmental Prediction operational and research NLDAS-2 systems. J. Geophys. Res. Atmos., 121, doi:10.1002/2015JD023889. Best, M. J., G. Abramowitz, H. R. Johnson, A. J. Pitman, G. Balsamo, A. Boone, M. Cuntz, B. Decharme, P. A. Dirmeyer, J. Dong, M. Ek, Z. Guo, V. Haverd, B. J. J. van den Hurk, G. S. Nearing, B. Pak, C. Peters-Lidard, J. A. Santanello, Jr., L. Stevens, and N. Vuichard, 2015: The plumbing of land surface models: benchmarking model performance. J. Hydrometeorol., doi:10.1175/JHM-D-14-0158.1. Xia, Y., M. B. Ek, Y. Wu, T. W. Ford, and S. Quiring, 2015: Comparison of NLDAS-2 simulated and NASMD observed daily soil moisture. Part I: Compariosn and analysis. J. Hydrometeorol., doi:10.1175/JHM-D-14-0097.1. Xia, Y., M. B. Ek, Y. Wu, T. W. Ford, and S. Quiring, 2015: Comparison of NLDAS-2 simulated and NASMD observed daily soil moisture. Part II: Impact of soil texture and vegetation type mismatches. J. Hydrometeorol., doi:10.1175/JHM-D-14-0096.1. Xia, Y., T. W. Ford, Y. Wu, S. Quiring, and M. B. Ek, 2015: Automated quality control of of in Situ Soil Moisture from the North American Soil Moisture Database (NASMD) Using NLDAS-2 Products. J. Appl. Meteor. Climatol., 54, 1267–1282. Yang, R., M. Ek, and J. Meng, 2015: Surface Water and Energy Budgets for the Mississippi River Basin in Three NCEP Reanalyses. J. Hydrometeorol., 16, 857–873. Bosveld, F. C., P. Baas, G.-J. Steeneveld, A. A. M. Holtslag, W. M. Angevine, E. Bazile, E. I. F. Bruijn, D. Deacu, J. M. Edwards, M. Ek, V. E. Larson, J. E. Pleim, M. Raschendorfer, G. Svensson, 2014: The Third GABLS Intercomparison Case for Evaluation Studies of Boundary-Layer Models. Part B: Results and Process Understanding. Bound.-Layer Meteorol., doi:10.1007/s10546-014-9919-1. Cai, X., Z.-L. Yang, Y. Xia, M. Huang, H. Wei, L. R. Leung, and M. B. Ek (2014), Assessment of simulated water balance from Noah, Noah-MP, CLM, and VIC over CONUS using the NLDAS test bed, J. Geophys. Res. Atmos., 119, 13,751–13,770, doi:10.1002/2014JD022113. Kumar, A., F. Chen, M.J. Barlage, M. B. Ek, and D. Niyogi, 2014: Assessing impacts of integrating MODIS vegetation data in the Weather Research and Forecasting (WRF) Model coupled to two different canopy-resistance approaches. J. Appl. Meterol. Climatol., 53, 1362-1380, doi:10.1175/JAMC-D-13-0247.1. Kumar, S. V., C. D. Peters-Lidard, D. Mocko, R. Reichle, Y. Liu, K. Arsenault, Y. Xia, M. Ek, G. Riggs, B. Livneh, and M. Cosh, 2014: Assimilation of remotely sensed soil moisture and snow depth retrievals for drought estimation. J. Hydrometeorol., 15, 2446-2469, doi:10.1175/JHM-D-13-0132.1. Müller, O. V., E. H. Berbery, D. Alcaraz-Segura, M. B. Ek, 2014: Regional model simulations of the 2008 drought in southern South America using a consistent set of land surface properties. GDIS Drought Worldwide Special Collection. J. Climate, doi:10.1175/JCLI-D-13-00463.1. Saha, S., S. Moorthi, X. Wu, J. Wang, S. Nadiga, P. Tripp, D. Behringer, Y.-T. Hou, H.-y. Chuang, M. Iredell, M. Ek, J. Meng, R. Yang, M. Peña Mendez, H. van den Dool, Q. Zhang, W. Wang, M. Chen, and E. Becker, 2014: The NCEP Climate Forecast System Version 2. J. Climate, 27, 2185–2208. doi:10.1175/JCLI-D-12-00823.1. Xia, Y., J. Sheffield, M. B. Ek, J. Dong, N. Chaney, H. Wei, J. Meng, and E. F. Wood, 2014: Evaluation of mulimodel simulated soil moisture in NLDAS-2. J. Hydrology, 512, 107-125. Xia, Y., C. D. Peters-Lidard, M. Huang, H. Wei, and M. B. Ek, 2014: Improved NLDAS-2 Noah-simulated hydrometeorological products with an interim run. Hydrol. Process, doi:10.1002/hyp.10190. Xia, Y., M. B. Ek, C. D. Peters-Lidard, D. Mocko, M. Svoboda, J. Sheffield, and E. F. Wood, 2014: Application of USDM statistics in NLDAS-2: Optimal blended NLDAS drought index over the continental United States. J. Geophys. Res., 119, doi:10.1002/2013JD020994. Xia, Y., M.B. Ek, D. Mocko, C. D. Peters-Lidard, J. Sheffield, J. Dong, and E. F. Wood, 2014: Uncertainties, Correlations, and optimal blends of drought indices from the NLDAS multiple land surface model ensemble. J. Hydrometeorol., doi:10.1175/JHM-D-13-058.1. Xia, Y., M. T. Hobbins, Q. Mu, and M. B. Ek, 2014: Evaluation of NLDAS-2 Evapotranspiration against tower flux site observation. Hydrol. Process, doi:10.1002/hyp.10299. Zamora, R. J., E. P. Clark, E. Rogers, M. B. Ek, T. M. Lahmers, 2014: An Examination of Meteorological and Soil Moisture Conditions in the Babocomari River Basin before the Flood Event of 2008. J. Hydrometeorol., 15, 243–260. doi:10.1175/JHM-D-12-0142.1. Gentine, P., A. A. M. Holtslag, F. D'Andrea, and M. Ek, 2013: Surface and atmospheric controls on the onset of moist convection over land. J. Hydrometeorol., 14, 1443-1462, doi:10.1175/JHM-D-12-0137.1. Guillod, B.P., B. Orlowsky, D. Miralles, A. J. Teuling, P. D. Blanken, N. Buchmann, P. Ciais, M. Ek, K. L. Findell, P. Gentine, B. R. Lintner, R. L. Scott, B. Van den Hurk, and S. I. Seneviratne, 2013: Land surface controls on afternoon precipitation diagnosed from observational data: uncertainties, confounding factors and the possible role of vegetation interception. Atmospheric Chemistry and Physics Discussion, 13, 29137-29201, DOI: 10.5194/acpd-13-29137-2013. Lawford, R., D. Toll, B. Doorn, J. Entin, D. Mocko, M. Svoboda, M. Rodell, X. Cai, B. Wardlow, Y. Xia, J. Verdin, and M. Ek, 2013: NASA satellite and modeling products improve the monitoring of 2012 drought. GEWEX newsletter, 23, 13-16. Xia, Y., M. B. Ek, J. Sheffield, B. Livneh, M. Huang, H. Wei, S. Feng, L. Luo, J. Meng, and E. F. Wood, 2013: Validation of Noah-Simulated Soil Temperature in the North American Land Data Assimilation System Phase 2. J. Appl. Meteor. Climatol., 52, 455–471. Xia, Y., B. A. Cosgrove, M. B. Ek, J. Sheffield, L. Luo, E. F. Wood, K. Mo, and NDLAS team, 2013: Overview of the North American Land Data Assimilation System (NLDAS). Land Surface Observation, Modeling and Data Assimilation: pp. 337-377. Xia, Y., M. Ek, J. Sheffield, B. Livneh, M. Huang, H. Wei, S. Feng, L. Luo, J. Meng, and E. Wood, 2013: Validation of Noah-simulated soil temperature in the North American Land Data Assimilation System Phase 2. J. Appl. Meteor. Climatol., 52, 455–471. doi: dx.doi.org/10.1175/JAMC-D-12-033.1. Charusombat, U., D. Niyogi, S. Garrigues, A. Olioso, O. Marloie, M. Barlage, F. Chen, M. Ek, X. Wang, Z. Wu., 2012: Noah-GEM and Land Data Assimilation System (LDAS) based downscaling of global reanalysis surface fields: Evaluations using observations from a CarboEurope agricultural site. Computers and Electronics in Agriculture, 86, 55-74. Meng, J., R. Yang, H. Wei, M. Ek, G. Gayno, P. Xie, and K. Mitchell, 2012: The Land Surface Analysis in the NCEP Climate Forecast System Reanalysis. J. Hydrometeor, 13, 1621–1630, doi:10.1175/JHM-D-11-090.1. Sheffield, J., Y. Xia, L. Luo, E. F. Wood, M. Ek, K. Mitchell, and NLDAS Team, 2012: Drought monitoring with the North American Land Data Assimilation System (NLDAS): Current capabilities and future challenges. Chapter 4.3 in Use of Remote Sensing and Land Data Assimilation Systems (LDAS) for Drought Monitoring. Kumar, A., F. Chen, D. Niyogi, J. G. Alfieri, M. Ek, and K. Mitchell, 2011: Evaluation of a photosynthesis-based canopy resistance formulation in the Noah land-surface model. Bound.-Layer Meteorol., 138, 263-284, doi:10.1007/s10546-010-9559-z. Niu, G.-Y., Z.-L. Yang, K. E. Mitchell, F. Chen, M. B. Ek, M. Barlage, L. Longuevergne, A. Kumar, K. Manning, D. Niyogi, E. Rosero, M. Tewari, and Y. Xia, 2011: The community Noah land surface model with multi-parameterization options (Noah-MP): 1. Model description and evaluation with local-scale measurements, and 2. Evaluation over global river basins. J. Geophys. Res., 116, D12109, doi:10.1029/2010JD015139. Svensson, G., A. A. M. Holtslag, V. Kumar, T. Mauritsen, G. J. Steeneveld, W. M. Angevine, E. Bazile, A. Beljaars, E. I. F. de Bruijn, A. Cheng, L. Conangla, J. Cuxart, M. Ek, M. J. Falk, F. Freedman, H. Kitagawa, V. E. Larson, A. Lock, J. Mailhot, V. Masson, S. Park, J. Pleim, S. Söderberg, W. Weng, and M. Zampieri, 2011: Evaluation of the diurnal cycle in the atmospheric boundary layer over land as represented by a variety of single column models: the second GABLS experiment. Bound.-Layer Meteorol., 140, 177-206, doi:10.1007/s10546-011-9611-7. Wood, E. F., J. K. Roundy, T. J. Troy, R. van Beek, M. Bierkens, E. Blyth, A. de Roo, P. Doell, M. Ek, J. Famiglietti, D. Gochis, N. van de Giesen, P. Houser, P. Jaffe, S. Kollet, B. Lehner, D. P. Lettenmaier, C. Peters-Lidard, M. Sivapalan, J. Sheffield, A. Wade, P. Whitehead, 2011: Hyper-Resolution Global Land Surface Modeling: Meeting a Grand Challenge for Monitoring Earth's Terrestrial Water, Water Resour. Res., 47, W05301, doi:10.1029/2010WR010090. Yang, Z.-L., G.-Y. Niu, K. E. Mitchell, F. Chen, M. B. Ek, M. Barlage, L. Longuevergne, K. Manning, D. Niyogi, M. Tewari, and Y. Xia, 2011: The community Noah land surface model with multi-parameterization options (Noah-MP): 2. Evaluation over global river basins. J. Geophys. Res., 116, D12110, doi:10.1029/2010JD015140. Barlage, M., F. Chen, M. Tewari, K. Ikeda, D. Gochis, J. Dudhia, R. Rasmussen, B. Livneh, M. Ek, and K. Mitchell, 2010: Noah land surface model modifications to improve snowpack prediction in the Colorado Rocky Mountains. J. Geophys. Res., 115, D22101, doi:10.1029/2009JD013470. Jiang, L., F. N. Kogan, W. Guo, J. D. Tarpley, K. E. Mitchell, M. B. Ek, Y. Tian, W. Zheng, C.-Z. Zou, and B. H. Ramsay, 2010: Real-time weekly global green vegetation fraction derived from advanced very high resolution radiometer-based NOAA operational global vegetation index (GVI) system. J. Geophys. Res., 115, D11114, doi:10.1029/2009JD013204. Livneh, B., Y. Xia, K. E. Mitchell, M. B. Ek, and D. P. Lettenmaier, 2010: Noah LSM Snow Model Diagnostics and Enhancements. J. Hydrometeorol., 11, 721-738, doi:10.1175/2009JHM1174.1. Mo, K. C., L. N. Long, Y. Xia, S. K. Yang, J. E. Schemm, and M. Ek, 2010: Drought indices based on the Climate Forecast System Reanalysis and ensemble NLDAS. J. Hydrometeorol., ., 12, 181-025, doi:10.1175/2010JHM1310.1. Saha, S., and Coauthors (including M. Ek), 2010: The NCEP Climate Forecast System Reanalysis. Bull. Amer. Meteor. Soc., 91, 1015–1057, doi: 10.1175/2010BAMS3001.1. van der Velde, R., Z. Su, M. Ek, M. Rodell, and Y. Ma, 2009: Influence of thermodynamic soil and vegetation parameterizations on the simulation of soil temperature states and surface fluxes by the Noah LSM over a Tibetan plateau site. Hydrology and Earth System Sciences, 13(1), 759-777. Alfieri, J. G., D. Niyogi, P. D. Blanken, F. Chen, M. A. LeMone, K. E. Mitchell, M. B. Ek, and A. Kumar, 2008: Estimation of the minimum canopy resistance for croplands and grasslands using data from the 2002 International H2O Project. Mon. Wea. Rev., 136, 4452-4469, doi:10.1175/2008MWR2524.1. Holtslag, A. A. M., and M. Ek, 2008: Physics of evaporation and atmospheric boundary layers over land, Chapter 4 in Climate and the Hydrological Cycle, M.F.P. Bierkens and P. A. Troch (Eds. ), International Association of Hydrological Sciences. Santanello, J. A., M. A. Friedl, and M. B. Ek, 2007: Convective planetary boundary layer interactions with the land surface at diurnal time scales: diagnostics and feedbacks. J. Hydrometeorol., 8, 1082–1097. Cuxart, J., A. A. M. Holtslag, M. Ek, and Coauthors, 2006: Single-column model intercomparison for a stably stratified atmospheric boundary layer. Bound.-Layer Meteorol., 118(2), 273-303. Mesinger, F., G. DiMego, E. Kalnay, K. Mitchell, P. Shafran, W. Ebisuzaki, D. Jovic’, J. Woolen, E. Rogers, E. H. Berbery, M. B. Ek, Y. Fan, R. Grumbine, W. Higgins, H. Li, G. Manikin, D. Parish, and W. Shi, 2006: North American Regional Reanalsis. Bull. Amer. Meteorol. Soc., 87(3), 343-360. Ek, M., and A. A. M. Holtslag, 2005: Evaluation of a land-surface scheme at Cabauw. Theoretical Appl. Climatology, 80, 213-227, doi:10.1007/s00704-004-0101-4. Holtslag, A. A. M., and M. Ek, 2005: Atmospheric boundary layer climates and land surface interactions, in Encyclopedia of Hydrological Sciences, Part 3. Meteorology & Climatology, M. G. Anderson and J. J. McDonnell (Eds. ), John Wiley & Sons, Ltd, DOI: 10.1002/0470848944.hsa032, JohnWiley and Sons, Ltd., Bristol, England. Ek, M., and A. A. M. Holtslag, 2004: Influence of soil moisture on boundary-layer cloud development. J. Hydrometeorol., 5, 86-99. Murthy, B. S., S. S. Parasnis, and M. Ek, 2004: Interactions of the land-surface with the atmospheric boundary layer: Case studies from LASPEX. Current Science, 86(8), 1128-1134. Ek, M., K. E. Mitchell, Y. Lin, E. Rogers, P. Grunmann, V. Koren, G. Gayno, and J. D. Tarpley, 2003: Implementation of Noah land-surface model advances in the NCEP operational mesoscale Eta model. J. Geophys. Res., 108(D22), 8851, doi:10.1029/ 2002JD003296. Lackmann, G. M., K. Keeter, L. G. Lee, and M. Ek, 2002: Model representation of freezing and melting precipitation: Implications for winter weather forecasting. Wea. Forecasting, 17, 1016-1033. Levy, G. and M. Ek, 2001: The simulated response of the marine atmospheric boundary layer in the western Pacific warm pool region to surface flux forcing. J. Geophys. Res., 106, 7229-7242. Chang, S., D. Hahn, C.-H. Yang, D. Norquist, and M. Ek, 1999: Validation study of the CAPS model land-surface scheme using the 1987 Cabauw/PILPS data set. J. Appl. Meteorol., 38, 405-422. Mitchell, K., P. Houser, E. Wood, J. Schaake, D. Tarpley, D. Lettenmaier, W. Higgins, C. Marshall, D. Lohmann, M. Ek, B. Cosgrove, J. Entin, Q. Duan, R. Pinker, A. Robock, F. Habets, and K. Vinnikov, 1999: GCIP Land Data Assimilation System (LDAS) project now underway. GEWEX News, 9(4), 3-6. Liang, X., E. F. Wood, D. P. Lettenmaier, D. Lohmann, M. Ek, and collaborators, 1998: The Project for Intercomparison of Land-surface Parameterization Schemes (PILPS Phase 2(c) Red-Arkansas River Basin Experiment: 2. Spatial and temporal analysis of energy fluxes. J. Global Planet. Change, 19, 137-159. Lohmann, D., D. P. Lettenmaier, X. Liang, E. F. Wood, M. Ek, and collaborators, 1998: The Project for Intercomparison of Land-surface Parameterization Schemes (PILPS Phase 2(c) Red-Arkansas River Basin Experiment: 3. Spatial and temporal analysis of water fluxes. J. Global Planet. Change, 19, 161-179. Qu, W. Q., A. Henderson-Sellers, A. J. Pitman, T. H. Chen, M. Ek, and collaborators, 1998: Sensitivity of latent heat flux from PILPS land-surface schemes to perturbations of surface air temperature. J. Atmos. Sci., 55, 1909-1927. Wood, E. F., D. P. Lettenmaier, X. Liang, D. Lohmann, M. Ek, and collaborators, 1998: The Project for Intercomparison of Land-surface Parameterization Schemes (PILPS) Phase 2(c) Red-Arkansas River Basin Experiment: 1. Experiment Description and summary intercomparisons. J. Glob. Planet. Change, 19, 115-135. Chen, T. H., A. Henderson-Sellers, P. C. D. Milly, A. J. Pitman, A. C. M. Beljaars, M. Ek, and collaborators, 1997: Cabauw experimental results from the Project for Intercomparison of Land-surface Parameterization Schemes (PILPS). J. Climate, 10, 1194-1215. Chang, S. and M. Ek, 1996: On Daytime evolution of relative humidity at the boundary layer top. Mon. Wea. Rev., 124, 1323-1326. Chen, F., K. Mitchell, J. Schaake, Y. Xue, H.-L. Pan, V. Koren, Q. Y. Duan, M. Ek, and A. Betts, 1996: Modeling of land-surface evaporation by four schemes and comparison with FIFE observations. J. Geophys. Res., 101, 7251-7268. Chang, S. and M. Ek, 1996: Sensitivity study of the CAPS model land-surface scheme using the 1987 Cabauw/PILPS data set. Phys. Chem. Earth, 21, 205-210. Cuenca, R. H., M. Ek, and L. Mahrt, 1996: Impact of soil water property parameterization on atmospheric boundary-layer simulation. J. Geophys. Res., 101, 7269-7277. Ortega-Farias, S., R. H. Cuenca, and M. Ek, 1996: Daytime variation of sensible heat flux estimated by the bulk aerodynamic method for a grass canopy. Agric. Forest. Meteorol., 81, 131-143. Holtslag, A. A. M. and M. Ek, 1996: The simulation of surface fluxes and boundary-layer development over the pine forest in HAPEX-MOBILHY. J. Appl. Meteorol., 35, 202-213. Kim, J. and M. Ek, 1995: A simulation of the surface energy budget and soil water content over the HAPEX-MOBILHY forest site. J. Geophys. Res., 100, 20845-20854. Ek, M., and R. H. Cuenca, 1994: Variation in soil parameters: Implications for modeling surface fluxes and atmospheric boundary-layer development. Bound.-Layer Meteorol., 70, 369-383. Ek, M., and L. Mahrt, 1994: Daytime evolution of relative humidity at the boundary-layer top. Mon. Wea. Rev., 122, 2709-2721. Mahrt, L., and M. Ek, 1993: Spatial variability of turbulent fluxes and roughness lengths in HAPEX-MOBILHY. Bound.-Layer Meteorol., 65, 381-400. Ek, M., and L. Mahrt, 1991: A formulation for boundary-layer cloud cover. Annales Geophysicae, 9, 716-724. Mahrt, L., and M. Ek, 1984: The influence of atmospheric stability on potential evaporation. J. Clim. Appl. Meteorol., 23, 222-234. Director of the Joint Numerical Testbed at NCAR/RAL, supporting JNT’s mission of transitioning research-to-operations by testing and evaluating numerical weather prediction systems, including data assimilation, and other earth system components. Previously Deputy Director of EMC/NCEP, supporting EMC’s mission to “maintain, enhance and transition-to-operations numerical forecast systems for weather, ocean, climate, land surface and hydrology, hurricanes, and air quality for the Nation and the global community and for the protection of life and property and the enhancement of the economy”. Demonstrated leadership and superior problem solving, management, and communication skills to meet the above stated mission of EMC. Lead and collaborated on national and international projects for numerical model development following a “model development hierarchy”, i.e. from assessing process-level components to fully-coupled earth system models, with associated validation benchmarks and associated test bed data sets at each hierarchical step. Provided leadership and guidance in a number of community research and educational outreach activities, from student competitions at conferences, Ph.D. committees and summer schools on weather and climate, to major research initiatives, program panel reviews and national and international conferences. Ph.D. (2005) Environmental Sciences/Meteorology, Wageningen University, Netherlands. Title: Interactions of the land-surface with the atmospheric boundary layer. Advisor: Professor A. A. M. Holtslag, Department Chair, Meteorology and Air Quality. M.S. (1982) Atmospheric Sciences (Mathematics/Statistics minor), Oregon State Univ. Title: The influence of the diurnal variation of atmospheric stability on potential evaporation. 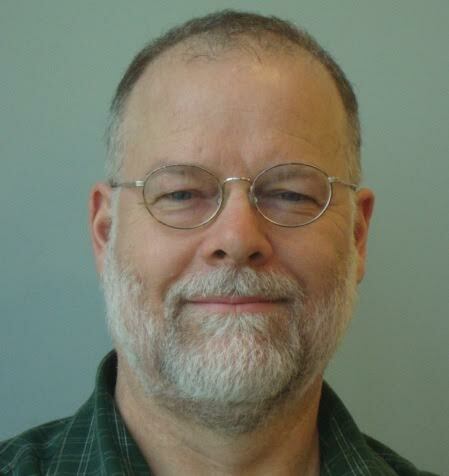 Advisor: Professor Larry Mahrt, College of Earth, Ocean, and Atmospheric Sciences. B.S. (1987) Science and Math Education, Oregon State University. B.S. (1980) Atmospheric Sciences (Mathematics/Geography minor), Oregon State Univ.